In my previous blog post, How to Stick to New Years Resolutions, I talked about ways to set up resolutions for the year by being specific, setting measurable, achievable, and relevant goals, and time limits for yourself. Since we are a few weeks into the new year, I wanted to do a checkup to see how your resolutions were going for you. 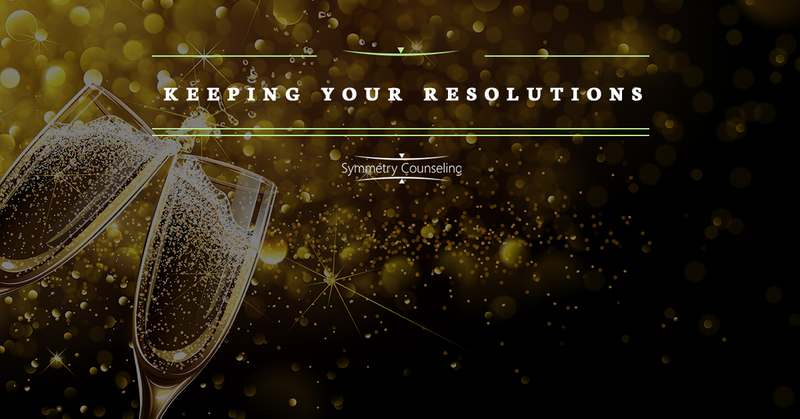 Have you been able to maintain your resolutions, or as I like to call them “lifestyle changes”? It is okay if you have not, and there is no specific time to start these changes. If you have fallen off the path, let’s get back on the path and try again. You get to pick your resolution, so let’s keep them simple. Start with small things that you know you can achieve and that will be beneficial for yourself. Even if you have all these resolutions that you want to achieve, then pick just one or two things that you know you can stick to. Goals are hard to maintain, but making sure that you are being honest with yourself. If you have a goal to run a marathon this year, then how can you break it down monthly? Be realistic to yourself in how you can obtain your goals. As I mentioned previously you cannot set out to run a marathon without any training. Identify ways to set obtainable goals until you have achieved your big goal so that way you do not feel like you have failed. Make sure you are able to see and evaluate your goals. Get a diary or calendar to make sure that you are on the right path towards your goal. Being able to see what you should obtain daily, weekly, and monthly is important so you can achieve your overall goal. Note taking on how you are doing while obtaining your goals to important. In your diary or calendar, write down things that are working for you and that are not, so you can look back and edit and change your game plan for that goal or other resolutions. Setting goals and resolutions can be he hard but making sure that you are taking time for yourself and engage in self-care. Take a day or two off a week and do what you need to do. Celebrate milestones for yourself. Tell people about your resolutions or lifestyle changes and so they can ask you about it and help support you. If are you are struggling a bit, then ask people to help you. You have a support network-so utilize them. You are not in this alone. Don’t give up! You got this! You are your biggest cheerleader and support for yourself. Engage in positive self-talk to help boost yourself. There will be moments of setback, but there are bigger and better things coming too. Stay positive throughout this process until your resolution has become a habit and you do not to have struggle. Put yourself first. You can seek support from others, but you are the only one who can make the changes and hold yourself accountable. If something is becoming too hard, is it because you are feeling lazy or can you not actually do it? Push yourself to move towards your goals. Take responsibility for your actions. If you feel like you are struggling with keeping your resolution, then try again, do not give up. You can start resolutions whenever you want-it does not have to be on January 1, but it can be any day of the year. Contact any of our therapists if you feel like you are struggling with identifying or obtaining your goals.